Think beyond storage. Transform this building to meet your unique needs. Second story with stairs gives you plenty of room to grow. Choose between 16'x16', 16'x20', and 16'x24' sizes - each with an 8 ft. wall height - and you get a whole second level complete with stairs, making the perfect upstairs haven – ideal as a guest loft, man cave, workroom, or additional storage space. Included second story could make the perfect guest room, music studio or place to store your significant other's prized possessions. Included stairs gives the Everest customization potential as a guest house, workshop or man cave/she shed. 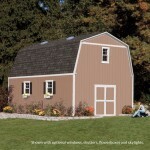 These gorgeous two story sheds give you endless potential. 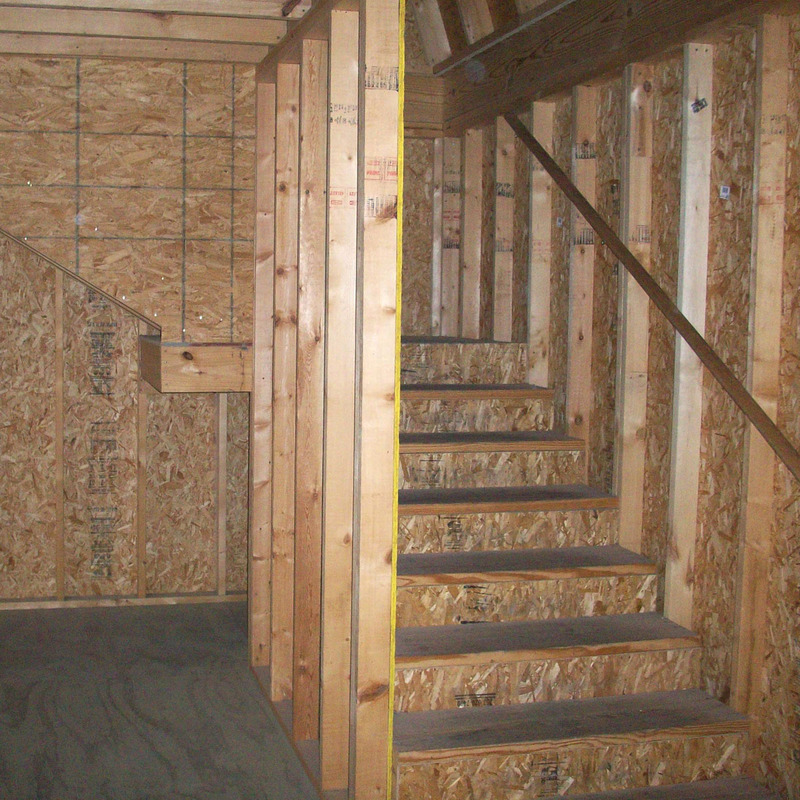 Here, you choose between 16'x16', 16'x20', and 16'x24' sizes - each with an 8' wall height - and you get a whole second level complete with stairs, making the perfect upstairs haven – ideal as a guest loft, man cave, workroom, or additional storage space. This luxurious building gives you all our most deluxe elements. 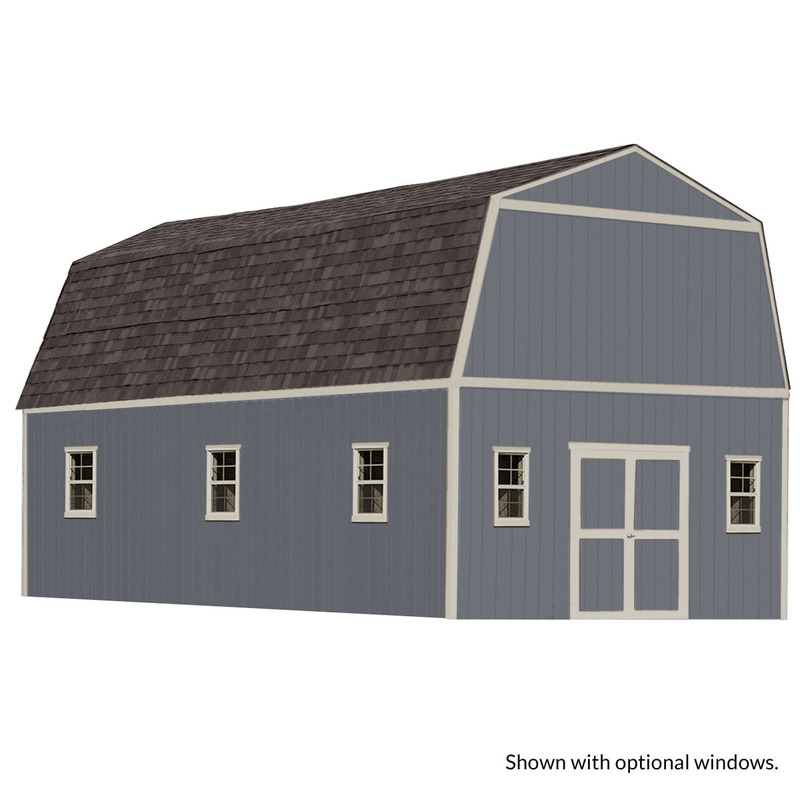 You get strong 2x4 construction and a drip edge to protect your shed from weather - you can even choose to upgrade to a steel service door or garage door for even more convenient entry. 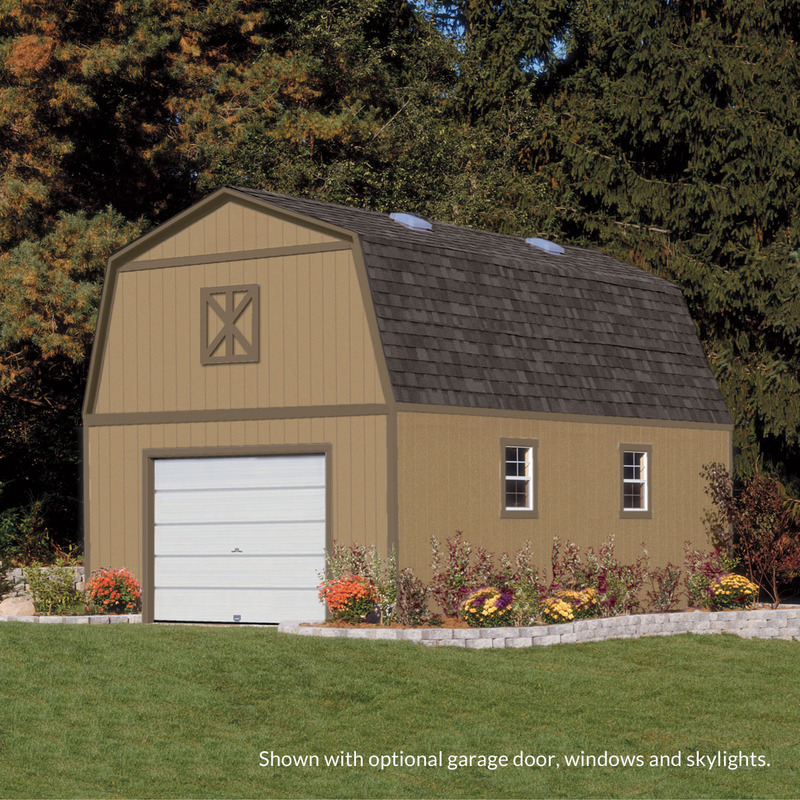 Even better, your Everest shed comes with a 10-year, top-to-bottom warranty – so you know we’ve got your back. 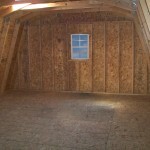 This beautiful two story shed space is the answer to your every need. Got family visiting from out of town? Here, you’ve found the ideal guest house. No more feeling cramped during those long family visits. Now, the in-laws, grandparents, or family friends have their very own space to spread out and relax, so you can keep your house to yourself, and every visit is less stressful and way more fun. 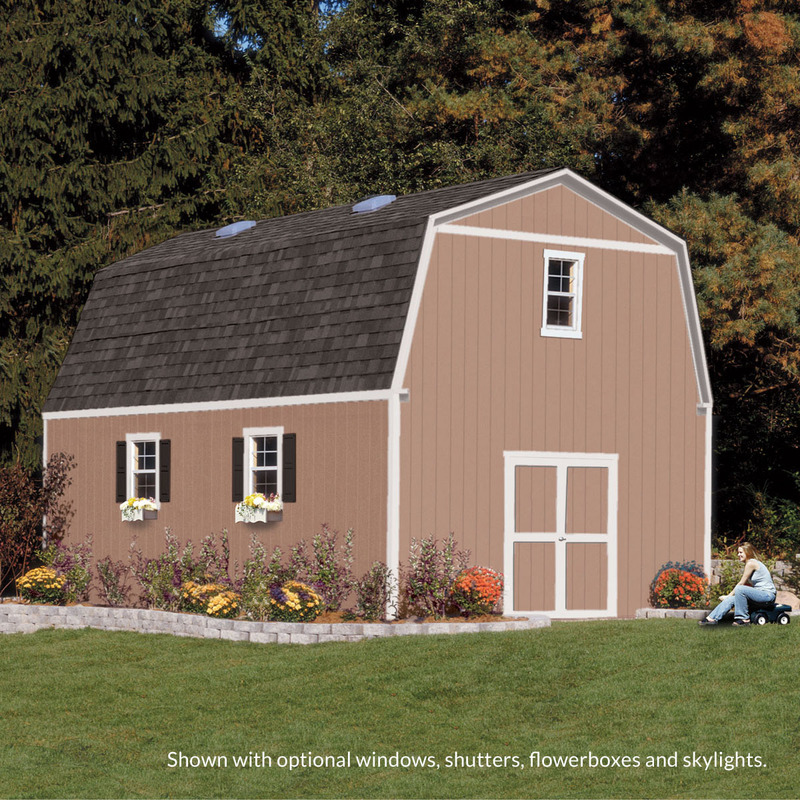 Been longing for a Man Cave or She Shed where you can spread out, work on your own projects, or just chill and watch a movie without the the kids or spouse interrupting? Your search ends here. This 2 story shed complete with stairs gives you a sanctuary of solitude and quiet; where you can finally enjoy that much needed alone time. 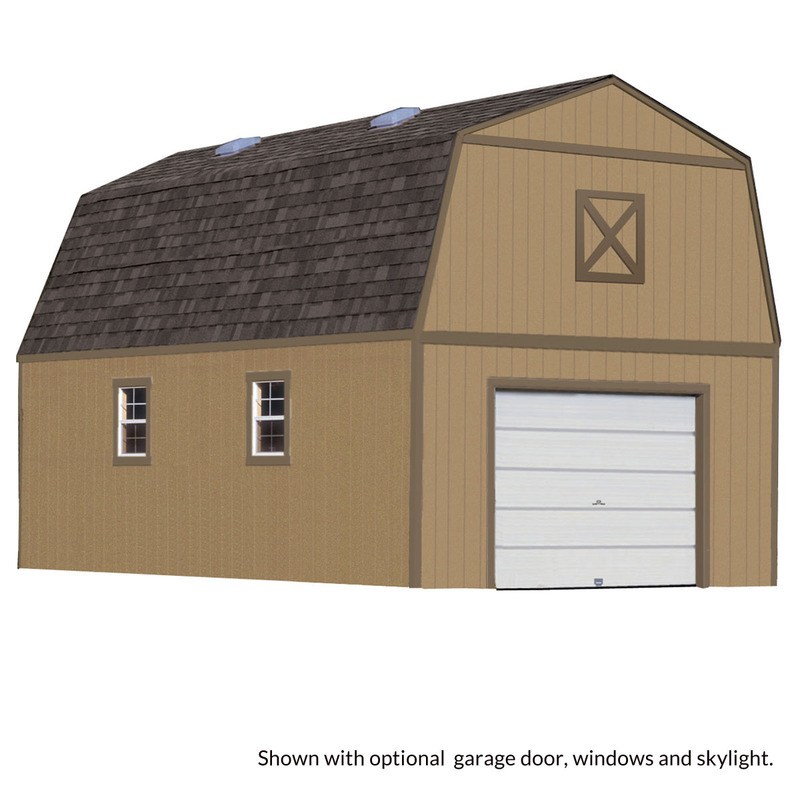 If you’re looking for a hobby room, home office, art studio, or exercise barn; this two story building fulfills your wildest dreams. At last, you have a space to organize your stuff, focus on important work, and simply escape from the grind of everyday life in your house. After all, who can concentrate with kids arguing, the radio on, the washer and drier going, or the family clambering for dinner? Simply escape your home, walk a few feet out back, and enter into your huge, fully personalized haven of happiness. 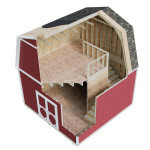 Even better, because your Everest is a two story building, you can create a multi-use shed; using the upstairs for storage or a guest space, and the lower level for your workshop, office, or studio. And remember, the Everest can be customized to your heart’s content. Add your choice of windows, gables, cupolas, and window boxes, and make your shed even more convenient with ramps, shelving, workbenches, or wall racks. Here’s a chance to make something truly your own; fitting your backyard, shed with two story's to your specific needs and vision. Get your Everest shed today, and upgrade your whole lifestyle to new levels of pleasure and convenience. Common Size (w x d x h) 16' x 16' x 19'-2" 16' x 20' x 19'-2" 16' x 24' x 19'-2"
Actual Interior Dimensions (w x d) 192" x 192" 192" x 240" 192" x 288"
Actual Floor size 192" x 192" 192" x 240" 192" x 288"
Peak Height 230" 230" 230"
Side Wall Height 108" 108" 108"
Double Door Opening Width 64" 64" 64"
Double Door Opening Height 72" 72" 72"
Floor Joist Spacing 16" 16" 16"
Stud Spacing 16" 16" 16"
Overhang length (Front) 5.5" 5.5" 5.5"
Overhang length (sides) 3.75" 3.75" 3.75"
Assembled Weights 1954 lbs. 2254 lbs 2554 lbs. Painting is not included with purchase. 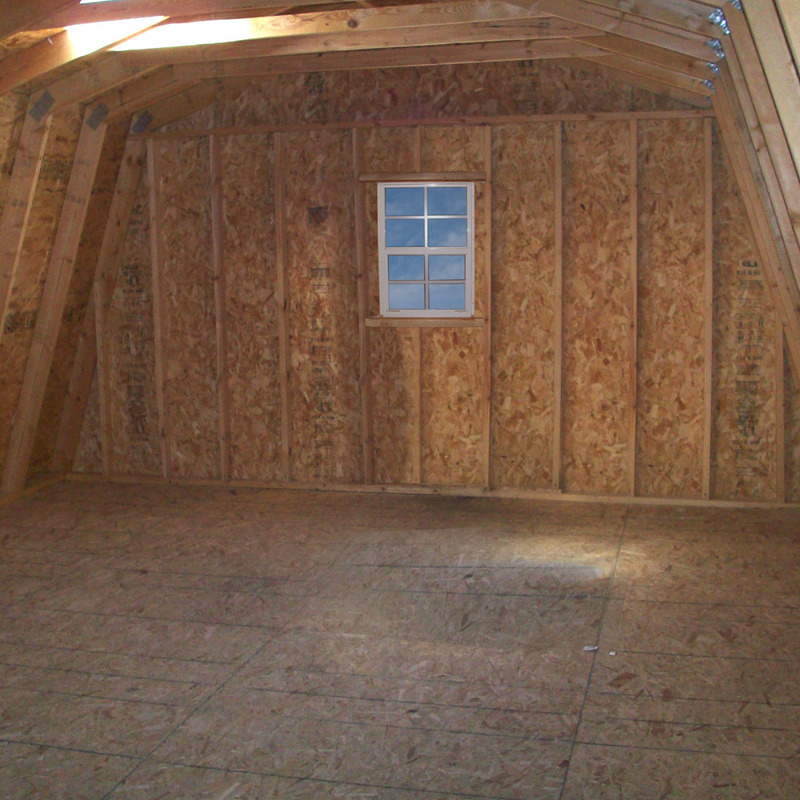 We advise to paint the exterior of our second story sheds with a quality latex paint and caulk all critical joints. Our warranty requires that all exposed surfaces need to be painted within 30 days after installation. Two story Everest was a sizeable project with all building permits required to be obtained. 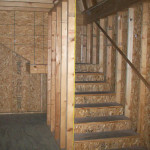 Safety glass for window by stairs was not supplied and customer needed to modify stairs to pass inspection. Overall quality is good. I love the building its self customer service is something different. A week after the building was built it rained the sky light, windows and doors all leaked. I called in they told me it was my responsibility to seal it. I also bought a shed they never finished. They did not bring enough trim to finish the trim out and never returned to finish it. and the first good wind the door fell off when the wind caught it. 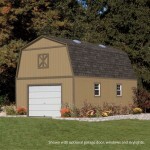 Barn built in three days ! 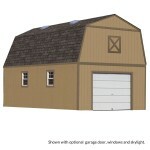 Two real good carpenters from Alabama built our barn. We are very pleased with the purchase. 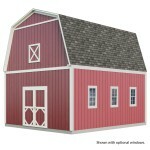 I built double Dutch doors on the front and had the optional stairway built. Standup loft is a big plus. We went with the 16x20 size and I probably should have gone with 24 feet. But this is a nice size with plenty of storage. Building materials were delivered first and the installers came the very next day. Provided great customer service. Had the building up in a few hours. Very friendly and professional. The crew had our building up in 3 days.They did a great job but still need more experience when it comes to installing the roll up garage door.We are very happy it's built with all 2x6's making the building extremely structurally sound. We now have power and water inside and are making moves to rent it out as a small apartment. Project was completed in just over 8 hours, including decking the entire second story of this 16x24 building. This was a remote site, running on a generator, dealing with cactus, and they still did very well. Solid job cleaning up (only a couple pieces they missed), all very polite, all Americans. Took 4 days to erect building. Was never more satisfied with any purchase I ever made. My installer's name was Gregg. Great guy, great craftsman just a great all around guy. My only complaint is that untreated pine was used for gable trim work. At most using this wood saved 8-10 dollars. Might want to consider paying extra to get treated wood if it is a option. This was by far one of my very best purchases. My expectations were more than met. It is my pride & joy & the envy of all my friends & family. Also, the builders were the best - very professional & friendly. They took time to explain the process to me as they were building. I highly recommend this company & its product. Great building, poor carpenter "People skills"
The building is acceptable however, I thought it would have been made out of thicker siding. Biggest drawback was as advertised building was to take 2 to 2 1/2 days to construct, mine took almost 3 weeks. Window was damaged, materials delivered were short in quantity, carpenter was "Nailgun Crazy", why slam in 3 to 5ive nails to join 2 X 4 structure when 2 would be plenty if placed correctly? Also nailing of siding was hit and miss, carpenter hit the trigger on the nail gun and missed the 2 X 4 structure many, many times leaving holes in the siding. Local manager had to come out to resolve issues with the building and carpenter. The building could use a bit more overhang both on the sides and gables to devert rainy weather from running down the siding. Some rebate would be appropriate.